New Democratic House Speaker likely to be tested over LePage administration's proposed mental health facility. AUGUSTA — Legislators are heading to Augusta to tackle the drug crisis, school funding and November ballot questions while negotiating a relationship with the governor that has grown increasingly strained. Legislative leaders already appear at odds with Republican Gov. Paul LePage over his administration’s proposed secure mental health facility in Augusta, which could free up urgently needed psychiatric beds. 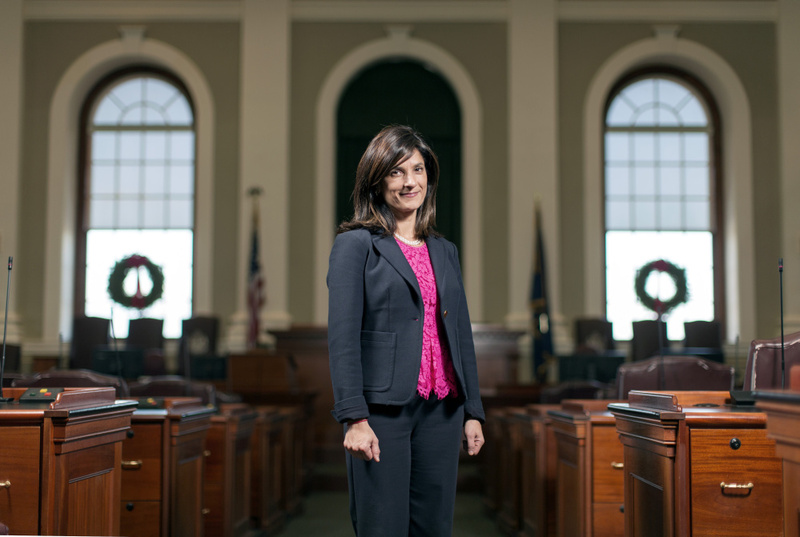 New Democratic House Speaker Sara Gideon is seen by supporters as a cool-headed leader who will respectfully negotiate with Republican legislators and fight for Democrats’ interests at a time when the party has gained Senate seats but lost influence in the House. Her first test could be what happens with the facility, which LePage has said Democrats are dangerously delaying to score political points. But in recent radio interviews, LePage has said he’ll build the privately run facility in Bangor instead of next to the Riverview Psychiatric Center in Augusta, which requires the legislators’ approval. “My experience with Sara Gideon to this point, as you can see through Riverview, is different face, same ideology,” LePage said. Gideon’s Democratic predecessor had a tempestuous relationship with LePage, against whom he pursued a series of unsuccessful legal actions for an alleged abuse of power that inspired a failed impeachment effort. 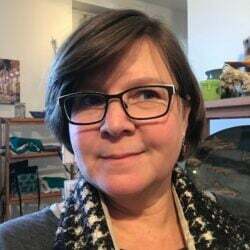 Gideon also has a record of consternation with LePage; she called for the governor’s resignation in August after he left a Democratic legislator an expletive-filled tirade and asked him to make the voicemail public. Gideon says she wants to stay clear of dysfunction, particularly after a presidential election that starkly laid out the urban-rural, coastal and inland divisions in Maine and across the country. “We are still Mainers, and this is really important because instead of seeing division and dysfunction in the wake of these elections, instead we see the immense opportunity to meet people where they are and to find a way to bring us all back together,” Gideon recently told legislators. Legislators are expected to file a number of bills to deal with the state’s opioid painkiller and heroin crisis. An average of one Mainer a day is now dying from a drug overdose, mainly because of a rise in illicitly manufactured fentanyl. House Republican Assistant Minority Leader Ellie Espling is proposing a single joint panel deal with all the legislation. Legislators last year directed $3.7 million for treatment, prevention and enforcement, and LePage’s administration has announced a series of initiatives, including expanding access to medication-assisted addiction treatment. Voters in November said yes to legalizing recreational marijuana, hiking the minimum wage and creating a 3-percent income surtax on the state’s top earners. Other approved questions include a new system that would have voters rank candidates. It will be up to legislators to decide what tweaks to make to the laws, and regulators will propose rules to make the laws effective. Local officials across Maine are waiting to see how strict rules for marijuana businesses will be. LePage is calling on legislators to restore the ability for employers to pay below-minimum wages to service workers who make up the difference with tips they earn. Critics say he’s promoting “wage theft” for directing the Department of Labor not to enforce increased wages for tipped workers until February. A state commission has been studying what to do with Maine’s formula for funding public schools and how to improve school performance. Legislators this year approved an additional $15 million in education funding for local schools, and created a blue-ribbon commission tasked with releasing a report in January. Tweaking the state’s school funding formula is a familiar topic for the Legislature, which in 2012 ordered a $450,000 independent review of Maine’s school funding formula. The report found the formula “quite equitable” when compared with other states. This fall, the commission has also discussed tax incentives for businesses that establish school partnerships and helping rural communities recruit and retain teachers.